My head hits the pillow and my mind is racing. 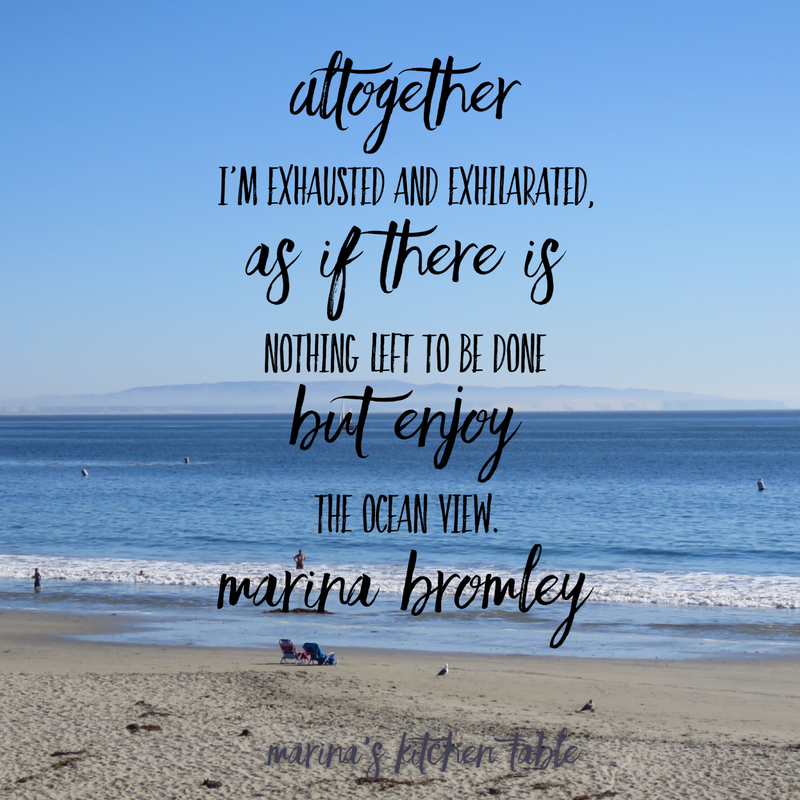 What happened today that exhausted me so? Praying through phone calls. Meeting a distressed friend for lunch. Listening to the issues going on around me that I’m not even a part of. I’ve got nothing left to give. As my true southern friends would say, “I’m plum tuckered.” I’ve hit rock bottom. Empty. I inhale fast and deep. Exhale hard, blowing the air as if I can not get it out fast enough. Slowly my mantra comes to mind, pushing through the garbage littering my brain and burdening my body. Breathe in: more of You, Jesus. I exhale: less of me. Slowly exhale: less of me. His words that launched my hectic day, as sunlight streamed through the curtains this morning. The aroma of my husband brewing his first cup of coffee, safely home from a week away from home. The neighbor girls’ hugs hello as she delighted in the afternoon sunshine and being able to play outside. The gratefulness of a far away friend who needed prayer, and her reciprocal prayers for me. He shifts my gaze. My eyes lock to his. My heart softens. I find myself letting go. My shoulders relax. He pries my hands open, allowing the last of my worries to be released to Him. I melt into the warm blankets, remembering the sunshine that warmed me earlier. Each exhale of me makes more room for Him. My frustration for His control. My loneliness for His presence. My pain for His comfort. My stress for His peace. My indifference for His love. Slowly, surely, my negatives are replaced by His positives, as if I were standing by the oceans’ edge and each wave knocks me down and pulls the stress from me, dragging it out to sea, leaving me bewildered as I sit in the sizzle of the water lapping upon the sandy shore. 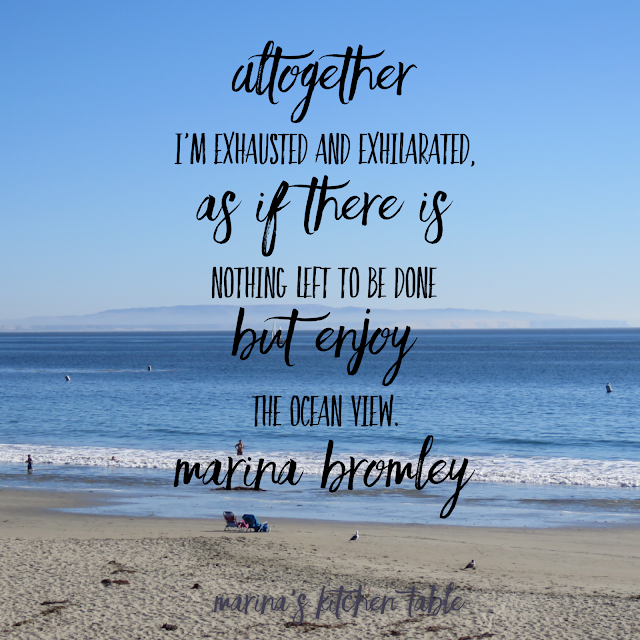 Altogether I’m exhausted and exhilarated, as if there is nothing left to be done but enjoy the ocean view. I take another breath in, wanting more, still. He does not disappoint. My exhale is soft, slow, barely audible, hardly felt as the air escapes my lungs. So different than just a few minutes ago. Or has it been hours? I don’t know. He has filled me. His promises in my mind. My lips full of praise. My heart and mind at rest. I’m overflowing with His peace.